PC7023 Chakra pendant charm with the stones of the seven chakras: amethyst, iolite, apatite, peridot, citrine, carnelian and garnet. Made from sterling silver. 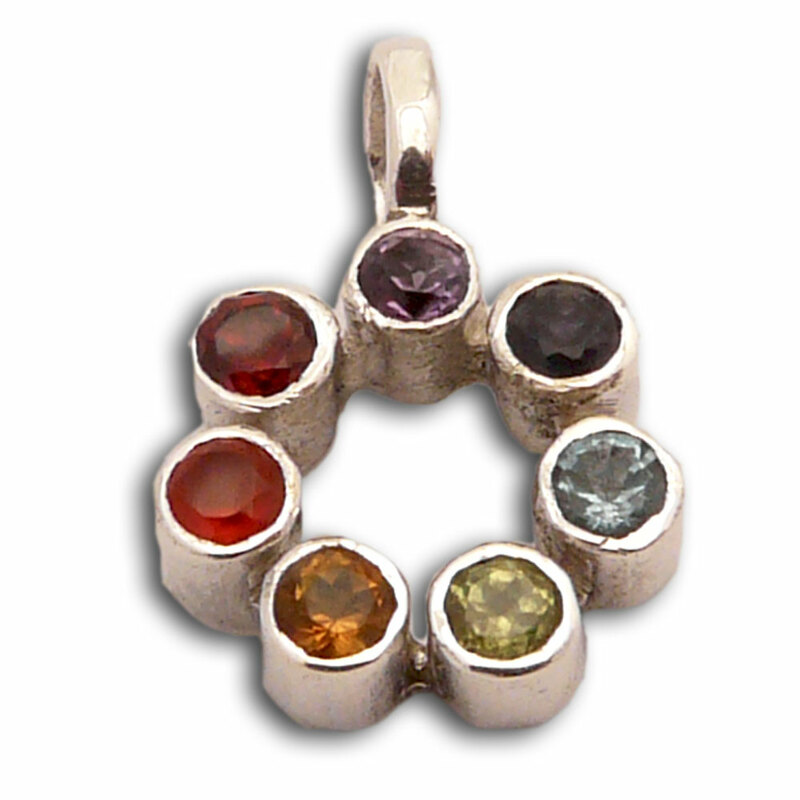 Sterling silver 7 chakra pendant with the stones of the seven chakras: amethyst, iolite, apatite, peridot, citrine, carnelian and garnet.